Oral cancer screening: We examine your face, neck, lips, tongue, throat, tissues and gums for any signs of oral cancer. 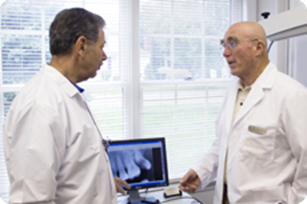 Gum disease evaluation: We check the gums and bone around the teeth for any signs of periodontal disease. Examination of tooth decay: We use special dental instruments to check all tooth surfaces for decay. Examination of existing restorations: We examine the condition of existing fillings, crowns, etc. Feel free to contact us if you have any questions about oral exams or to schedule an oral health consultation with one of our doctors.